Amid the cliffs and peaks of red gravels and malmstones, humans seem to be trivial beings. In Mt. Laojun National Park in northwest Yunnan’s Lijiang, Mother Nature shows us her ingenuity, creating rocks hither and thither in the shapes of turtles, dragons, Buddhas, alchemy furnaces, pillars and others. Our encounter with Mt. Laojun happened January 16, 2019. Laojun here refers to Laozi, the first philosopher of Chinese Daoism, and Mt. Laojun is so named because legend has it that Laozi once practiced alchemy in the mountain. Even though we felt sore in our legs due to the long-term trekking, Mt. 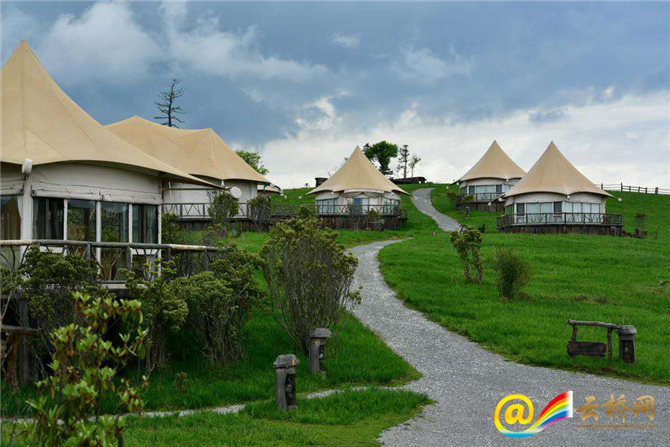 Laojun, a paradise for outdoor sports, did not fail us. Instead, we were immensely impressed by spectacular sights repeatedly as we conquered the peaks one after another. As an essential part of the “Three Parallel Rivers” area, Mt. Laojun National Park in Lijiang is dubbed as the “sanctuary for flora and fauna.” Mt. Laojun is located within the tri-junction where East Asia, South Asia and the Qinghai-Tibet Plateau meet. Mt. 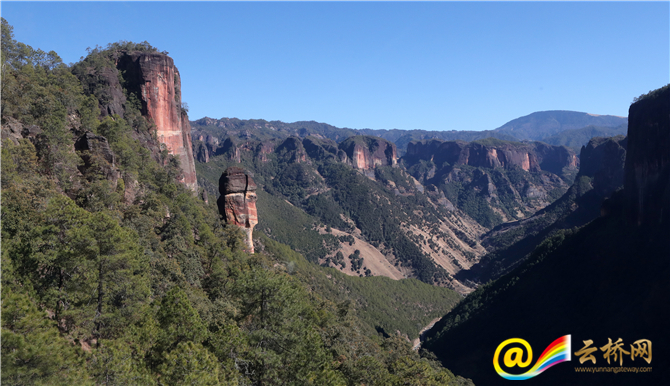 Laojun was listed as a world natural heritage in 2003, approved as a national geo-park in 2004, and designated in 2009 to be a pilot national park in Yunnan. 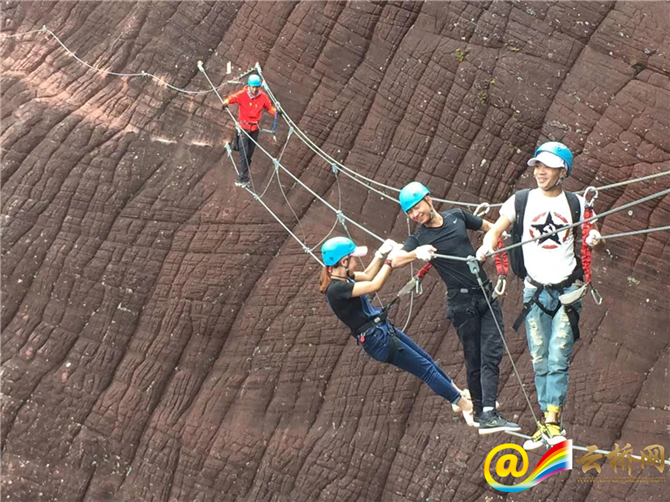 Among the expats in Yunnan, a rock-climbing guide for Mt. Laojun’s Liming/dawn area emerged as a bestseller. “As a result, backpackers, mostly rock-climbing enthusiasts, have come to live here for a month or two," said Li Min, a poverty-alleviation worker. “One month later, my work in poverty relief will come to an end, and I will invite my family to see the natural sights here." Li spent two years in the Laojun mountainous area, witnessing the changes brought about by tourism development and upgrading. 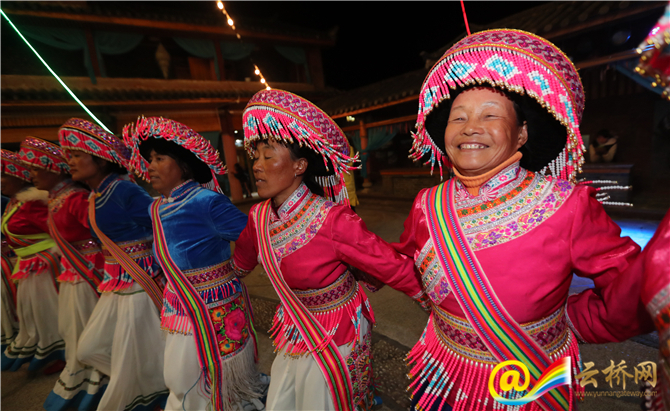 In April 2009, Lijiang joined hands with Yunnan Expo Tourism Group to develop the area. Now Mt. Laojun’s Liming scenic area is a destination for all-for-one tourism, where tourist needs to eat, lodge, ride, sightsee, shop and entertain are all met”. On the cable cars, you can see lucid waters, red rocks and streams slip away between your feet, and the tents and Lisu-style inns in the valley make “home” for tourists. The ropeway brings excitement to those who are not capable of rock climbing. Mt. Laojun aims to be a paradise for outdoor sports, with rock climbing at the core of its sports tourism products. Last year, 15 summer camps in the area brought in hundreds of children aged 8 to 14, who got in close touch with nature here. Guided by coaches, the children traced the river sources, practiced shooting, and played games. "The summer camps were much fun for children, especially for those reared in the concrete jungle," said He Hong, a staff with the scenic area. "At dawn, the breeze blows gently; at dawn, the bee kisses flowers..." These are words taken from a song "love at dawn/Liming". 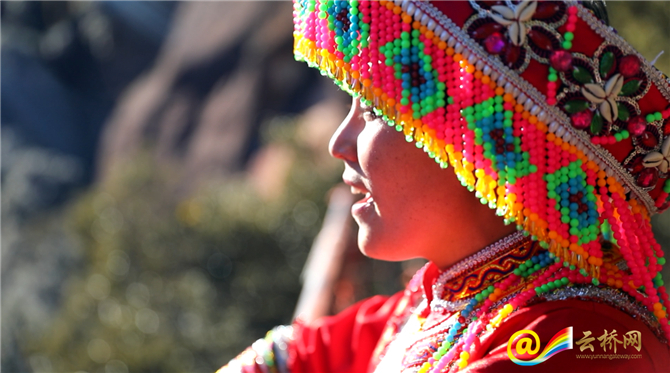 Seeing our weariness during the journey, the tour guide Qiao Yueqin, a Lisu girl, sang the song for us with a clear, high and beautiful voice, and her music echoed for quite a while in the valley, relieving the fatigue a lot. “Six tour guides work here, including the Lisu and Naxi ones, and we serve 3 batches of tourists daily, each lasting 2.5 hours,” said Qiao, adding over 100 households live in the Liming/dawn scenic area. Each month, the lively rural market here opens on the 1st, 11st, 21st days, and specialties are popular among tourists. Local specialties include gastrodia elata, cordyceps, snow lotus, honey, and more. When spring comes, clear streams flow in the mountain which is decorated by 300 plus of azaleas varieties and enlivened by activities of more than 600 cute Yunnan snob-nosed monkeys in the scenic area. With tasty organic food, rock-climbing and diverse wildlife a glimpse away, some tourists in Mt. Laojun said they “scorn to change their state with kings”.